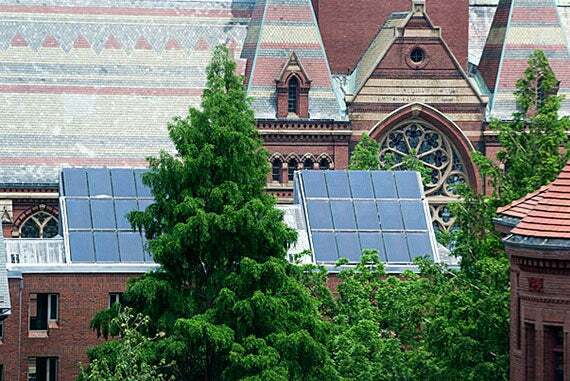 Harvard researchers wanted to improve on their 2014 flow battery. Their goal was to replace the conventional bromine-bearing electrolyte with something nontoxic. In a paper released today, the team's findings "deliver the first high-performance, nonflammable, nontoxic, noncorrosive, and low-cost chemicals for flow batteries." A prototype of the battery is pictured. A team of Harvard scientists and engineers has demonstrated a rechargeable battery that could make storing electricity from intermittently available energy sources, like sun and wind, safe and cost-effective for both residential and commercial use. The new research builds on earlier work by members of the same team that could enable cheaper and more reliable electricity storage at the grid level. In the new battery, electrons are picked up and released by compounds composed of inexpensive, Earth-abundant elements (carbon, oxygen, nitrogen, hydrogen, iron and potassium) dissolved in water. The compounds are nontoxic, nonflammable, and widely available, making them safer and cheaper than other battery systems. The research appears in a paper published today in the journal Science. This new battery chemistry was discovered by postdoctoral fellow Michael Marshak and graduate student Kaixiang Lin working together with co-lead author Roy Gordon, the Thomas Dudley Cabot Professor of Chemistry and Professor of Materials Science at Harvard. Unlike solid-electrode batteries, flow batteries store energy in liquids contained in external tanks, similar to fuel cells. The tanks (which set the energy capacity), as well as the electrochemical conversion hardware through which the fluids are pumped (which sets peak power capacity), can be sized independently. Since the amount of energy that can be stored can be arbitrarily increased by scaling up the size of the tanks, greater amounts of energy can be stored at lower cost than traditional battery systems. 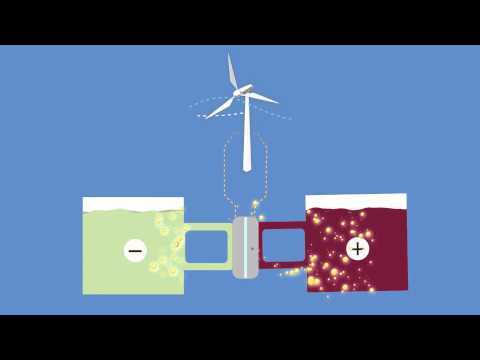 The active components of electrolytes in most flow battery designs have been metal ions, such as vanadium dissolved in acid. The metals can be expensive, corrosive, tricky to handle, and kinetically sluggish, leading to inefficiencies. Last year, Aziz and his Harvard colleagues demonstrated a flow battery that replaced metals with organic (carbon-based) molecules called quinones. Quinones are abundant, naturally occurring chemicals that are integral to biological processes such as photosynthesis and cellular respiration. While quinones in a water solution formed the negative electrolyte side of the battery, the positive side relied on a conventional bromine-bearing electrolyte that is used in several other batteries. The high performance and low cost of the technology, which Harvard has licensed to a company in Europe, hold the potential to provide scalable grid-level storage solutions to utilities. But bromine’s toxicity and volatility make it most suitable for settings where trained professionals can deal with it safely behind secure fences. So the team began searching for a new recipe that would provide comparable storage advantages — inexpensive, long-lasting, efficient — using chemicals that could be safely deployed in homes and businesses. Their new battery replaces bromine with a nontoxic and noncorrosive ion called ferrocyanide. Because ferrocyanide is highly soluble and stable in alkaline rather than acidic solutions, the Harvard team paired it with a quinone compound that is soluble and stable under alkaline conditions, in contrast to the acidic environment of the original battery they developed last year. There are other advantages to using alkaline solution. Because it is noncorrosive, the flow battery system components can be made of simpler and much less expensive materials, such as plastics. Harvard’s Office of Technology Development has been working closely with the research team to navigate the shifting complexities of the energy storage market and build relationships with companies well-positioned to commercialize the new chemistries. The demand for battery storage is driven as much by regulatory factors as by economic ones. In some states, as well as many parts of the world, if it can’t be used instantly to meet, solar energy incident on solar panels goes to waste if the electricity isn’t stored. However, in many states, customers have the right to sell electricity produced by rooftop solar panels at high consumer rates under a regulatory scheme called “net metering.” Under those circumstances, consumers have little incentive to install batteries. However, market experts like William W. Hogan, the Raymond Plank Professor of Global Energy Policy at Harvard Kennedy School, believe that such policies are ultimately “uneconomic and unsustainable.” And as more and more homeowners install solar panels, utilities are opposing requirements to buy electricity from their customers. Hogan says net metering is one of a series of “regulatory gimmicks designed to make solar more attractive” and predicts that eventually consumers with rooftop photovoltaic panels will lose the option of exchanging electricity for discounts on their utility bills. When that happens, homeowners will have an incentive to invest in battery storage. That’s the emerging market opportunity that Tesla Motors entrepreneur Elon Musk hopes to leverage with his company’s recently announced Powerwall system. But the flow battery design engineered by Aziz and his Harvard colleagues offers potential advantages in cost and the length of time it can maintain peak discharge power compared to lithium batteries. In addition to Aziz, Gordon, Marshak, and Lin, co-authors of the Science paper include Qing Chen, Michael R. Gerhardt, Liuchuan Tong, Sang Bok Kim, Louise Eisenach, Alvaro W. Valle, and David Hardee. A new Harvard study published Monday in the journal Energy & Environmental Science finds that the supply of wind and solar power could be increased tenfold without additional storage.